Deir el Qamar is a village in south-central Lebanon, five kilometres outside of Beiteddine, consisting of stone houses with red-tiled roofs. Deir alQamar is unique in Lebanon, a town restored and maintained in a style many centuries old. Deir alQamar not only preserves its grand feudal architecture, but its old stepped streets, walled gardens and picturesque corners as well. Shortly after Emir Fakhreddine II came to power in 1590, a chronic water shortage in Baaqline forced him to move his capital to Deir alQamar. There he ruled until his death in 1635. 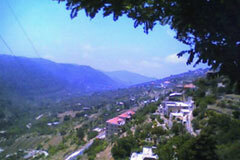 The town remained the residence of the governors of Lebanon until the 18th century, when Emir Bechir II Chehab moved the capital to Beiteddine. Deir El Qamar is a Lebanese town known as the Capital of Emirs. 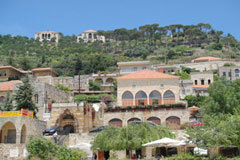 From its palaces, Lebanon was governed from the 16th century until the 18th century. People from all religious backgrounds lived in peace, explaining the existence of a mosque and a synagogue in addition to Christian churches in the town.